A CCHP system is getting attention as one of the distributed energy resources utilized from a small-building level to a micro-grid level. “Because a CCHP system provides electrical, cooling, and heating energy from a single energy source near end-users, it can improve energy efficiency and reliability while reducing environmental impacts,” Ahn explains. Ahn is advised by James Freihaut, professor of architectural engineering, and is co-advised by Donghyun Rim, assistant professor of architectural engineering. “I would like to express my sincere appreciation to Dr. Freihaut for his unconditional support and supervision. Dr. Rim also deserves my appreciation for his constructive guidance and feedback for academic writing. Without their support, I would not be able to make this academic achievement,” Ahn said. 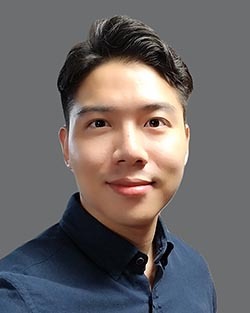 Ahn, a member of the Penn State University Park Student Branch of ASHRAE, also is a recipient of the ASHRAE Graduate Grant-in-Aid award for the 2018-2019 academic year.